Mid Atlantic MOD 2016: Registration Details and Workshops Announced! Early Registration opens for the Mid Atlantic MOD 2016 retreat this Wednesday, November 18th at 7pm Eastern time. Click here for details. There ten (10) spots guaranteed for our guild. Workshops: for descriptions of the workshops offered at MOD, please click here! We will provide our members with a link to register with the NJMQG member early registration access code. Details to follow on how we will provide that information. To read about more about this exciting modern quilting event, please click here. 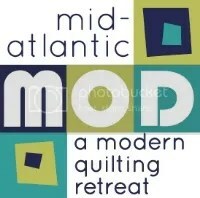 ← NJMQG Sponsoring Mid Atlantic MOD: A Modern Quilting Retreat!